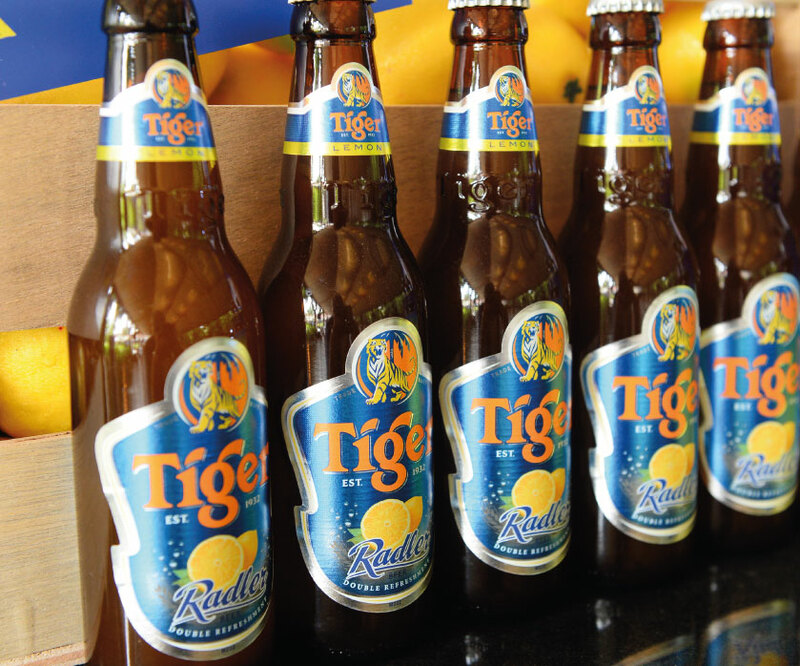 Singapore’s pride and joy, Tiger Beer turns 81 this year. This year, it is joined by a new counterpart: Tiger Radler. We have seen how fruity alcoholic beverages such as Fruli and Koppaberg have gained a substantial following in Singapore because of its light-sweetness which is a hit, especially amongst the ladies. The Radler (which also means ‘cyclist’ in German) concoction first came about in 1922, when 13,000 cyclists gave a surprise visit to Frank Xaver Kugler’s pub. To ensure that there was enough beer to go around, Kugler added lemon juice to the beer and voilà! Radler was born. 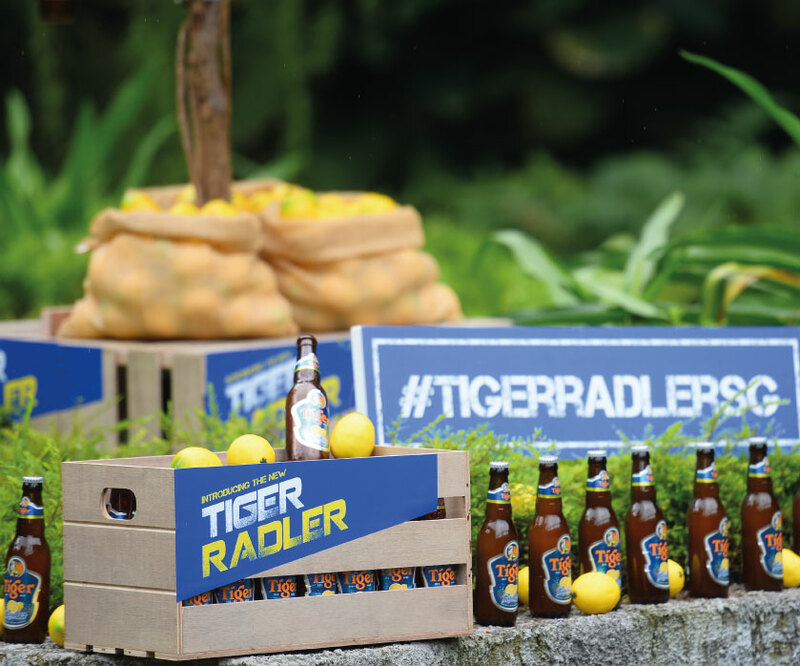 Tiger Radler infuses natural lemon juice with Tiger Beer, to give that extra burst of refreshment. Because of its low alcoholic content of 2%, it can be savoured at any time of the day without ‘dire’ consequences. We had it in the day at a food sampling session at Addictions Café, tucked away in the lush greenery of Dempsey Hill. The thirst quenching properties of lemon in Tiger Radler, makes it a perfect complement with local delights such as Laksa, as the smooth aftertaste of the Tiger Radler sweeps away any signs of throat irritation that may have arisen from the spicy Laksa. We sampled the Tiger Radler with a plethora of dishes that were served on the ingenious food placemats that reflected what was was served. From fusion italian served on an italian flag placemat (Miso Cod with Linguine on Green Pea Puree) to grilled delights served on a BBQ grill placemat (Guava Infused Baby Pork Ribs), what stood out for us was the Grilled King Prawn with Garlic Butter which was served on the beach. The tepid dish garnished with alfafa sprouts was doused in a fine mix of garlic and butter which brought out the sweetness of the succulent prawn. Get your first sip of Tiger Radler at three pop-up bars in Singapore in the month of December and stand to win Tiger Radler premiums such as tote bags and notebooks. The new drink is available from 29 November 2013 in cans (330ml &500ml) and bottles (330ml Pint & 633ml Quartz). It is also stocked at leading retailers, ranging from supermarkets to convenience stores, restaurants, pubs and clubs. For more information, check out Tiger Beer’s website and Facebook page.